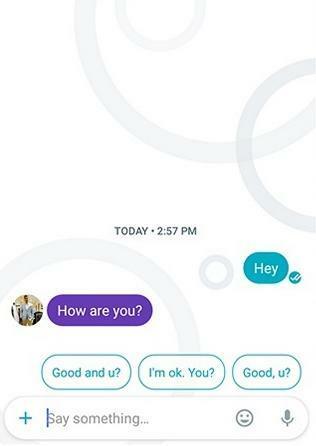 Google Allo is a smart messaging app which comes with a series of extra-ordinary features, when compared to other apps in the same segment. The most exclusive feature it has got is the Google Assistant, which gets even more personal with this app. No doubt that WhatsApp is currently ruling the chat-world, because it has been in the buzz for a long time now and it has grown its huge network. After Facebook acquired WhatsApp in 2014, we have seen newer and better updates, and certainly it gained even more attention in the process. 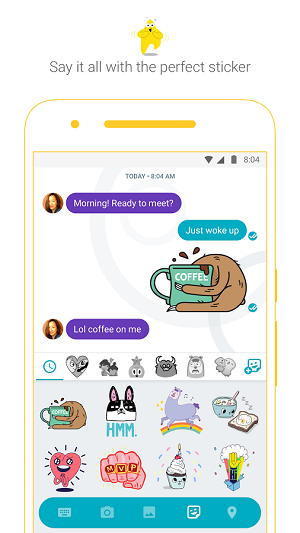 None the less, Google Allo can soon become one of the most loved and used app with all the features that it provides. People are unaware of it, because they are too busy using the products which they already have and they are not willing to look into the potential which new applications hold. Here are the 7 powerful features of Google Allo, and you might want to try it once you read these. This Assistant by Google is going to be a tough competition for Apple’s Siri and Microsoft’s Cortana. It comes with the Google Allo app to provide you smarter suggestions and answers, right between your conversations. It allows you to ask it a query within the same conversation window, such as searching for nearby restaurants, searching for pictures and many more. Google has plans to replace Google Now with it’s Assistant in the Android OS. 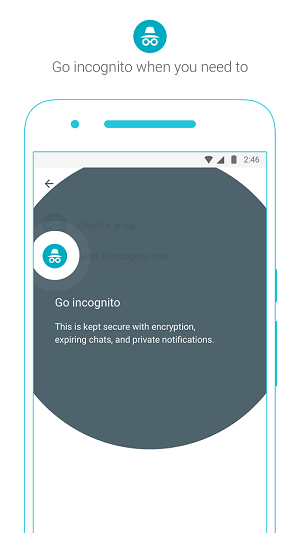 Incognito chat provides end to end encryption, so this means that even Google will not keep your messages at their servers! Also, this mode has an expiry feature in which your chats will be deleted from your device. Not just from your device, but also from the recipient’s device after a certain time, which can be set. You will also get private notifications when using incognito mode. Google has worked with a lot many artists and studios to get a number of new and custom emoticons and stickers for it’s users. Who does that? – Google! You will find a huge collection of stickers, from party smashers to tease-ers and many more. It is perfect thing to add meaning and fun to your conversations.Not only this, you can even make those regular smileys look big. Or shrink their size, just by dragging the send button slider up and down respectively. Till now, you must be only using third party image editors to edit your pictures, then saving them. Then you need to choose them from a large list of images before finally sending them over a conversation. Well, Google Allo seems to solve this problem by integrating a simple editor in the application itself.You can add text on images, make doodles on them, turn the people in pictures into memes, and add some colour effects right inside the Google Allo app. Cool, isn’t it? This feature analyzes your conversation, and suggests appropriate replies. These replies can be either texts, or they can even be pictures suiting the conversation. For instance, your friend asks you “Are you free for a party tonight?”, the Smart Reply feature will analyze this and suggest you options such as “Yup” or “No”, and you can just tap on the suggestion, and voila! reply sent. Not only does it analyze your chats, it also adapt your style and your shortcuts. You might be using these in your messages, and include them in future suggestions. This feature can give a you a speed boost for chatting. It is also convenient when you are busy with some other work too, and it is important to reply to a friend or colleague of yours! You can not send free SMS to people, with a third party chat application. For example, you can not send a message using WhatsAPP for free to a friend who does not use WhatsApp on his/her phone. You will be charged a fee by your carrier to do so. 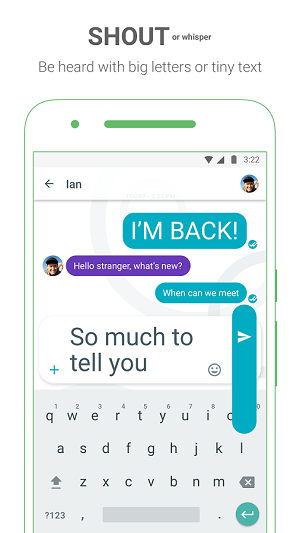 But Google Allo lets you send a normal text message to a person. Even if they don’t have Google Allo, and that too without any charges. Shout or Whisper in your text message. How? Type in your message, tap and hold the send button and drag the slider upwards to make the text larger than usual (so it’s a SHOUT). Drag the slider downwards to make the text smaller than usual (so it’s is WHISPER). This feature may not hold too much into it, but it is convenient to use it sometimes. Get Google Allo for Android and iOS.